Matching Fabric Buttons or Swarovski Crystals? The Regency Headboard is a simple headboard, but what takes it into its own league is the arrangement of fabric buttons. This new design is simple yet effective in showing off its style. The number of buttons depends on your desired height. The Regency Headboard is either either a 6 inch or 8 inch square arrangement. You are also able to upgrade to Swarovski Crystals. We use 1.5 inches of quality upholstery foam. The TOTAL depth of the finished headboard is approximately 3 inches. We are also able to customise the width and height of your headboard to your exact requirements. 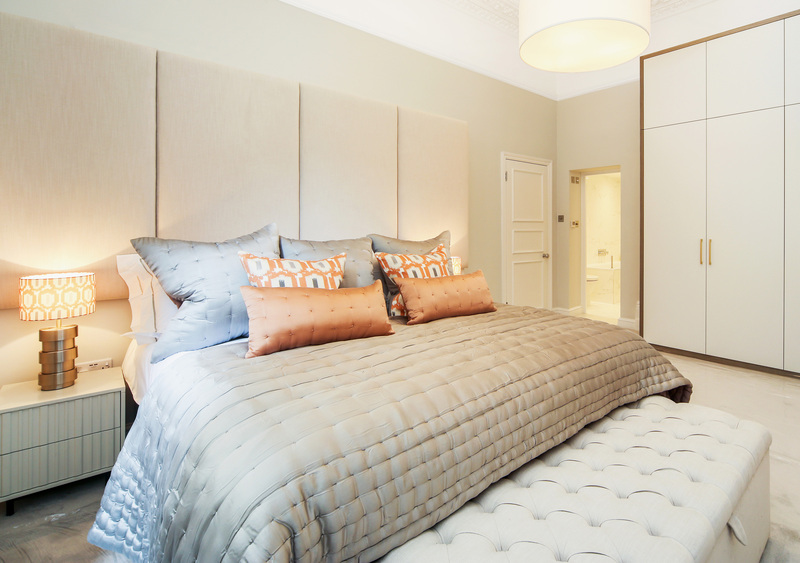 The headboard will be supplied with headboard Struts as standard; however if you increase the height of your headboard it may have to be wall mounted. We can upgrade your headboard struts to our integrated wall mounting system. 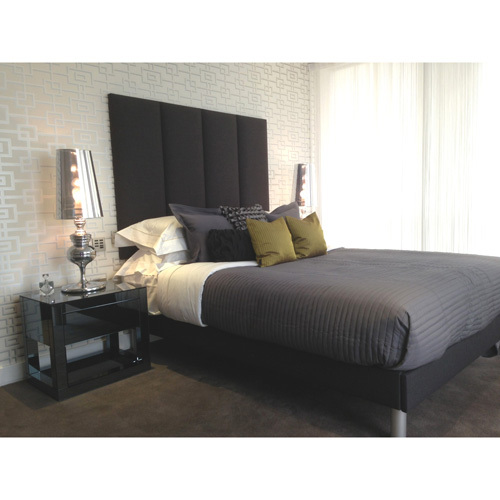 All our headboards are exclusively designed and manufacture by us in the UK.